Abstract: Given an image or a video clip can you tell which camera it was taken from? Can you tell if it was manipulated? Given a camera or even a picture, can you find from the Internet all other pictures taken from the same camera? Forensics professionals all over the world are increasingly encountering such questions. Given the ease by which digital images can be created, altered, and manipulated with no obvious traces, digital image forensics has emerged as a research field with important implications for ensuring digital image credibility. This talk will provide an overview of recent developments in the field, focusing on three problems. First, collecting image evidence and reconstructing them from fragments, with or without missing pieces. This involves sophisticated file carving technology. Second, attributing the image to a source, be it a camera, a scanner, or a graphically generated picture. The process entails associating the image with a class of sources with common characteristics (device model) or matching the image to an individual source device, for example a specific camera. Third, attesting to the integrity of image data. This involves image forgery detection to determine whether an image has undergone modification or processing after being initially captured. Biography: Nasir Memon is a Professor in the computer science department at the Polytechnic Institute of New York University, New York. He is the director of the Information Systems and Internet Security (ISIS) lab at Polytechnic (http://isis.poly.edu). 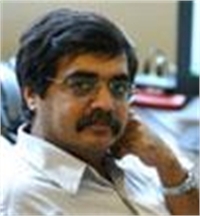 Prof. Memon's research interests include Digital Forensics, Data Compression, Computer and Network Security and Multimedia Computing and Security. He has published more than 250 articles in journals and conference proceedings and holds multiple patents in image compression and security. He has won several awards including the NSF CAREER award and the Jacobs Excellence in Education award. His research has been featured in NBC nightly news, NY Times, MIT Review, Wired.Com, New Science Magazine etc. He is currently the Editor-in-Chief of the IEEE Transactions on Information Security and Forensics and an associate editor for the IEEE Security and Privacy Magazine. Prof. Memon is the co-founder of Digital Assembly (http://www.digital-assembly.com) and Vivic Networks (http://www.vivic.com), two early stage start-ups in NYU-Poly's incubator. He is a fellow of the IEEE and an IEEE Signal Processing Society distinguished lecturer for the years 2011 and 2012.